If you are pregnant then your spinal curve will change! Some women have lower back pain during pregnancy. This can be due to spinal curve changes or falls which can lead to traumatic patterns being stored in your sacrum, (lower back). Distortive patterns may have an effect on your baby! 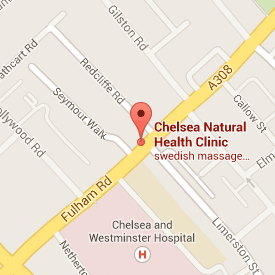 “Free Pelvic and Low Back Pain assessment for Pregnant Women at Chelsea Natural Health Clinic”. This will involve a consultation and assessment to see how your lower back and pelvis is functioning and whether or not there are any distortive patterns in your sacrum. Please note that there will be no treatment in the special offer. If you are interested in the above offer, then please contact myself or Chelsea Natural Health Clinic for more information.